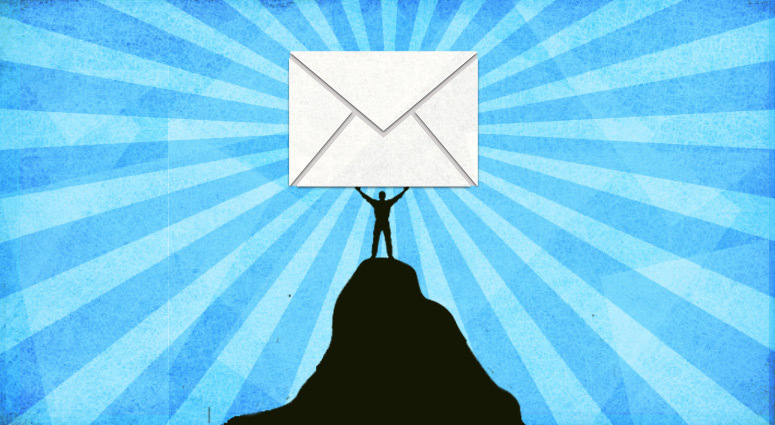 One of the most crucial parts of email marketing is contact management. And using lists is the traditional way of differentiating between your subscribers. But, there are certain pitfalls you should avoid to provide a better experience for your subscribers. I’ll tell you a short story about it, so you can see it for yourself. A company had a huge database of email addresses, but not inside their email marketing platform. I won’t tell you their name, as I don’t want to hurt their reputation. Every time they wanted to send out their newsletter they uploaded a CSV with the subscribers they wanted to reach to a new list. Then, they blasted them. This meant that every time they sent a newsletter they created a completely new list. Imagine how many lists and duplicate contacts they had after a while. And on top of everything they were getting sued by their subscribers… Why? Because even after they unsubscribed from an email list they still received the next emails. As they were imported to a completely new list with outdated information! And every time people wanted to unsubscribe their efforts were in vain. That’s a great example how not to use multiple email lists. Habits like this can ruin a whole company. List is a notion that comes from old marketing technology. And it implies that you handle different sets of subscribers completely separately. But the marketing technology has improved. And now there is the option to filter your subscribers easily based on their different types of data, like geolocation, behavior, interest, life-cycle stage, age, and so on. That’s the reason I recommend you to only use multiple email lists if your subscribers are absolutely different stakeholders. So you would never mix them. For example, if you have B2B and B2C customers, investors, or clients of a different business using separate lists for them is a good idea. Having fewer lists will help you segment and manage your subscribers more easily. And that’ll let you send timely and relevant emails to them. So based on your goals, industry, and business model you can determine how many lists you’ll use. That’s why setting your goals is extremely important when you start your email marketing journey. 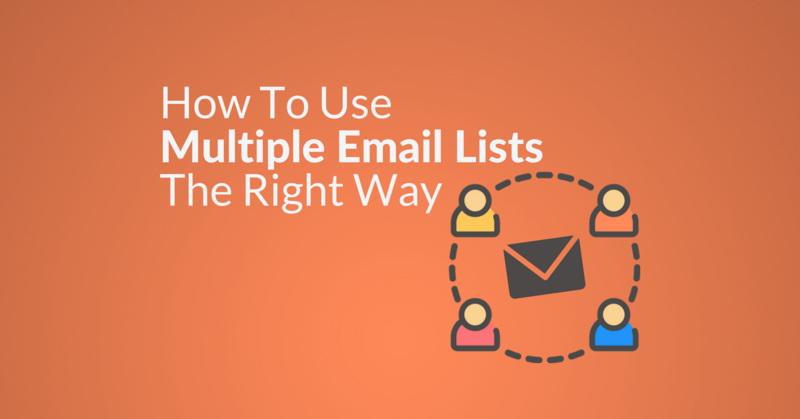 All right, let’s move on to the 4 use cases how you can use multiple email lists the right way. Let’s say you have a newsletter and some lead magnets. Your visitors can subscribe or opt-in from multiple forms. In this case, you don’t want to send newsletters to the people who downloaded an ebook until they get the emails of the lead magnet follow-up automation. Because you definitely don’t want to spam or overwhelm your new subscribers with too frequent emails. So you can put the lead magnet downloaders on a separate list. And use this list as the trigger for your lead magnet follow-up automation. After they received every email of this automation add them to your main list. You can do that automatically. Just add an action to the end of your follow-up automations that moves the subscribers from the lead magnet lists to the main list. Once you do this each contact will be moved to your main list after the follow-up sequence. Add the visitors who subscribe to your newsletter to your main list. Then you can use this list as a trigger for your blog subscriber welcome automation. I recommend putting a tagging action after the trigger that puts a “newsletter-subscriber” tag on the contacts who enter this automation. Offline events like conferences, trade shows, and workshops present a great opportunity to network and generate leads. Collect the email addresses of people who show interest in your product or services. After the event is over import these emails to a new a list. Then create an event follow-up automation tailored for them. Use the list as the trigger for the sequence. Put an action to the end of the automation that moves the contacts from the event list to your main list. And don’t forget to put a tag them during the automation, so later you can find them on your main list. This will let you send them invitations to your upcoming events or marketing offers. You have to be especially careful when you collect emails offline! Make sure you have their permission and you’re GDPR compliant. I recommend using different lists for your potential clients and existing customers. As you want them to take completely different actions and consequently they require completely different information, offers, and incentives. You can use your list of potential clients as a trigger for a lead nurturing automation. 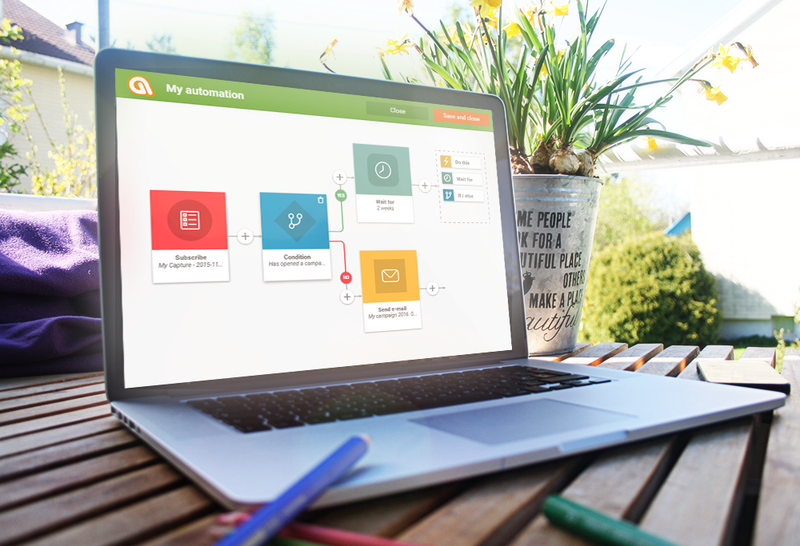 The purpose of this automation is to build awareness and trust. This will make it more likely that they’ll become your customer. Once they made a purchase you can automatically move them from the potential client’s list to the list of customers. Your customer list works as a CRM for your business that stores all the data you previously collected about them. Use this list to let your customers know about special offers, discounts, and updates. Webinars are great for qualifying leads and driving sales. I recommend setting up a separate list for your webinar subscribers. Use tags to differentiate the subscribers based on their engagement level: no show, joined the webinar, watched the webinar, purchased. Then you can create filters and send personalized and relevant follow-up emails to them based on this data. To the people who subscribed but didn’t show up, send an email with an invitation to your next webinar. Send an email with a link to the webinar recording to the attendees who didn’t watch it all the way through. Chances are they were interested in it but couldn’t watch it all the way so they’ll appreciate the gesture. The subscribers who watched your whole webinar are highly engaged, so they are pretty close to making a purchase. Give them the final nudge via some relevant and personalized follow-up emails with a sales focus. Move the attendees who purchased after the webinar to your customer list. So you engage them to make sure they get the most value out of your product or service. There are lots of different email marketing software and each of them has a different way of handling subscribers. Traditional email marketing platforms like MailChimp and Aweber are list based. Subscribers from different sources appear on different lists in your database. Let’s say you have an ebook as a lead magnet and people can download by giving you their email address. And people can opt-in to get it on a form on your blog, a landing page and a pop up on your webpage. Subscribers from these sources will appear on different lists in your database if you use these tools like this, and that makes contact management a nightmare. Not to mention if the same person downloads 3 lead magnets and subscribes to your newsletter he or she will be on 4 lists. That’s a huge problem because these platforms charge you based on the size of your database. So, in this case, you’ll pay 4 times for the same subscriber. That’s not right. 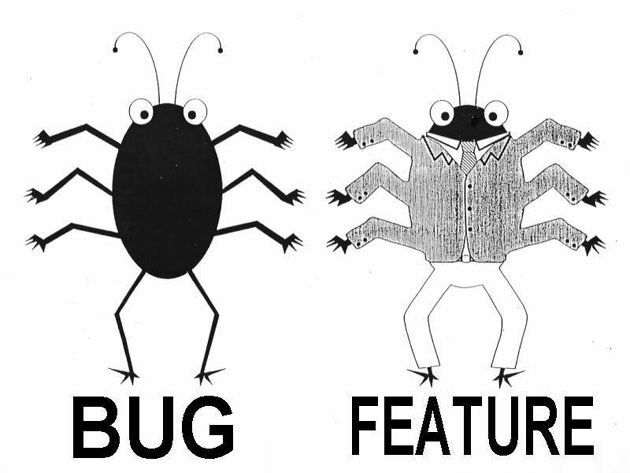 But the lists in these old-school platforms are not the same as lists in Automizy. And use lists as triggers and conditions in automations. Source: Automizy automation builder. Build this yourself! Plus you can create conditions based on lists, too. A list condition checks if a subscriber is on a list or not and pushes them through accordingly. This way, you can send different emails to people who are on a list and different emails to those who aren’t automatically. Or you can do these actions manually for each individual contact or for a set of contacts in any list. We covered some possible cases where using different lists is a sensible thing. Depending on your business there can be other scenarios to use multiple lists. Can’t implement the use cases in the article? Give Automizy a try, it’s on us!